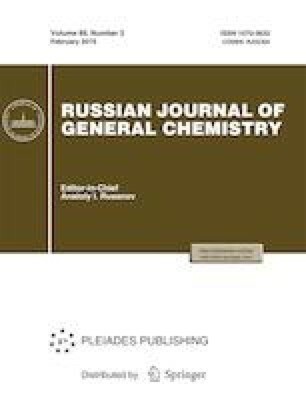 Redox transformations involving quinone/hydroquinone redox pair on a glassy carbon electrode (pristine and modified with poly-3,4-ethylenedioxythiophene film) have been investigated by means of cyclic voltammetry. Russian Text © S. Miao, E.G. Tolstopyatova, V.V. Kondratiev, 2019, published in Zhurnal Obshchei Khimii, 2019, Vol. 89, No. 2, pp. 271–276.